Welcome to the online home of Supernatural Grass – the highest quality synthetic and natural grass and turf and lawn solutions available in Victoria. The Supernatural Grass team source the best farmed grass available from Victoria and other states based on the best growing conditions at the time. This all means the grass you get is better and stronger and ready for the next phase of its life in your home or development. We work closely with these growers to determine which grass breeds will be grown and therefore we’re able to supply you with a selection of fresh, high quality grass that suits the area you need to grow it in. Full sun, semi shade, drought tolerant, low mowing frequency. All these factors are taken into account in selecting the best grass to suit your needs. 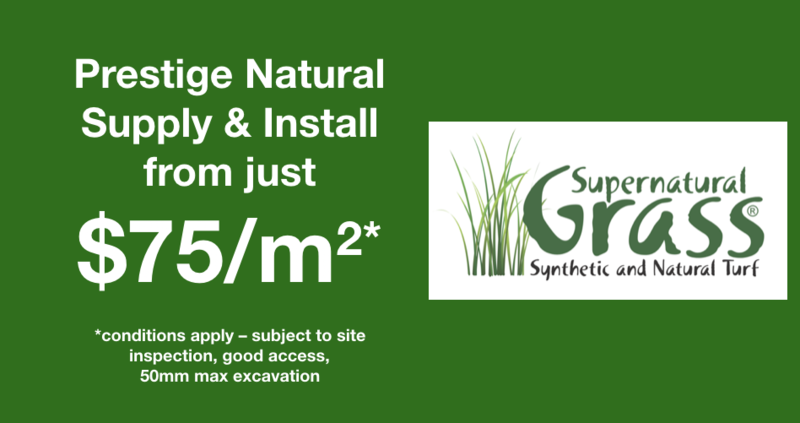 We stock a large range of synthetic grasses for domestic, commercial and sporting applications and we also partner with local growers to stock a wide range of high quality natural turfs and grasses including buffalo, kikuyu and couch grasses. Order online or call our friendly staff at Supernatural Grass Headquarters in Hallam, Victoria on 1300 727 678.